If you use cheap counterfeit vanes in a Becker pump, are you really saving money in the long run? Becker Genuine Vanes are engineered specifically for the operating characteristics of a Becker pump. Counterfeit vanes are not. Becker vanes are manufactured to the precise specifications for the heat and friction that a Becker pump produces. 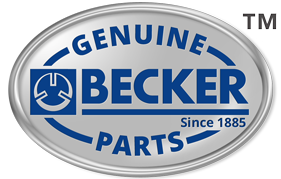 This means Becker Genuine Vacuum Pump Vanes will not prematurely chip or wear. Our vanes also have the precise hardness and resin combination necessary to reduce friction and heat which increases the life of your pump. 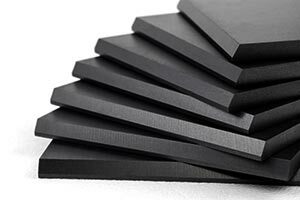 Becker Genuine Vanes are designed to withstand the HEAT generated by a Becker pump. 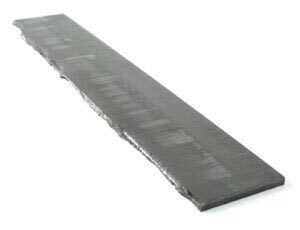 Counterfeit vanes cannot dissipate heat which causes premature wear and cupping. Becker Genuine Vanes are designed to withstand the FRICTION generated by a Becker pump. Counterfeit vanes don’t have the proper binding resin that minimizes friction and heat. 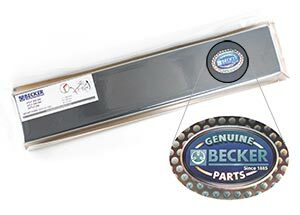 Becker Genuine Vanes are designed and SIZED to fit precisely into a Becker pump. Counterfeit vanes don’t always fit and won’t slide uniformly from the slot which increases heat levels. Becker Genuine Vanes are designed with the exact HARDNESS necessary to prevent premature chipping. Counterfeit vanes are too hard and chip easily reducing ultimate pressure. What happens when vacuum pump vanes prematurely chip? You immediately lose the maximum vacuum or pressure the pump is able to produce. Your vanes may not be broken, but you’re losing vacuum or pressure which can cause your process to run much less efficiently which means you produce less product. So, are you really saving money buying cheap counterfeit vanes? When you buy only Becker Genuine vanes, you increase the life of your pump which saves you time and money in the long run.